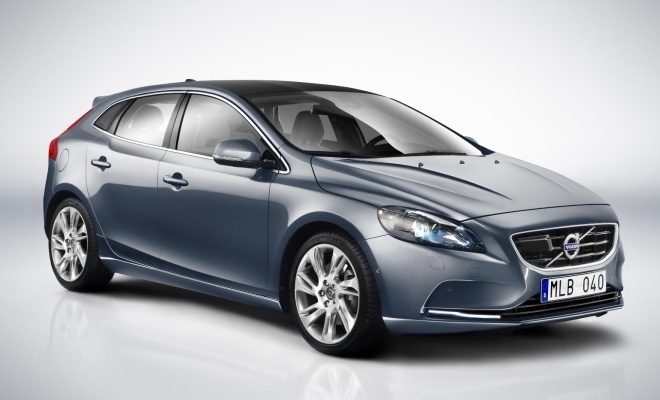 Leaked images have been bandied about on the web for a while, but we can finally take a legitimate look at Volvo’s upcoming V40 hatchback, now that the company has formally released pictures into the wild. The new car must battle the imminent new Audi A3 plus a host of other rivals from Alfa Romeo’s Giulietta to Volkswagen’s Golf when production starts in May. UK deliveries will start in the summer. Volvo’s designers have carved a car that is chiselled and handsome from some angles and a little droopy and fussy from others — or to put it another way the front looks good but the back is a bit of a mess. Optional R-Design add-ons to the sills and rear bumper do a remarkable job of making the back end look even worse. 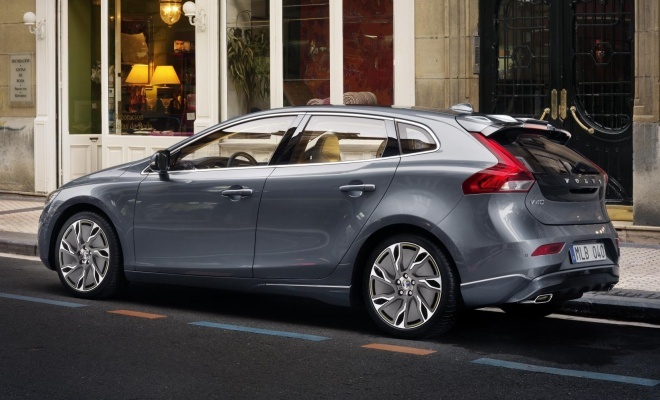 The V40 is due to replace both the current S40 saloon and the V50 small estate car. The V for versatility in its name would normally signify an estate body, but the new V40 is really just a longish hatchback. No doubt the Swedish firm felt that pulling another letter out of its Scrabble bag to create the H40 might just have confused people. More information will be revealed when the car spins on the turntables at next week’s Geneva Motor Show, but Volvo has given some details of interest to green car buyers. All models will get stop-start technology and brake energy regeneration, including those equipped with an automatic gearbox. And there will be a diesel model capable of avoiding the London Congestion Charge with a 94g/km CO2 rating — bettering the 99g/km score of the current S40 and V40 DRIVe models. Inside, the general layout is familiar Volvo stuff, but the instrument panel is now an all-digital computer-generated jobby. It can offer a large numerical speed readout in the centre of a clear circular tachometer, or other display options can be conjured up at the click of a button.